Not too long ago, Justin asked that I pick him up some instant Quaker oat packages from the store for breakfast on one of my weekly grocery trips. I have to say that, after having worked for an amazing organic grains farmer on and off for the past two years, I was a little horrified. 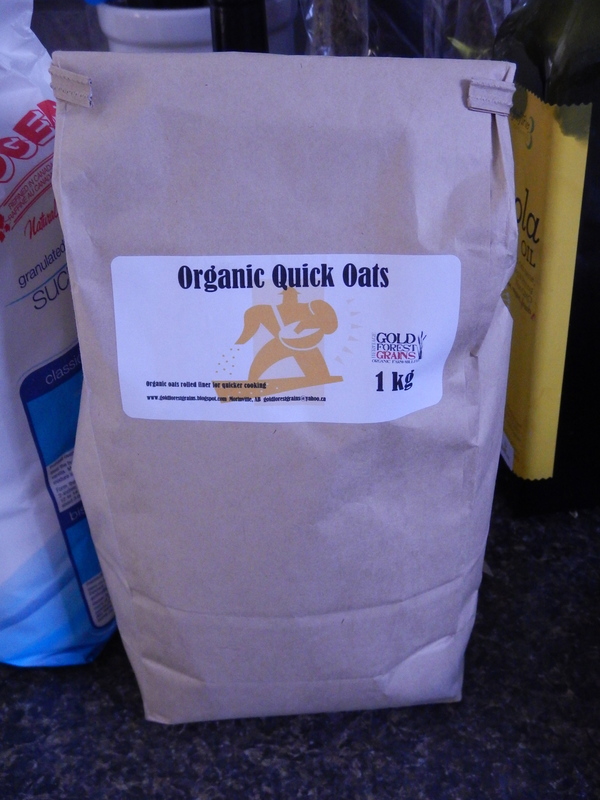 I figured, why buy instant oat packs when I can just as easily put together my own little packages, with tasty organic oats and and controlled amounts of sugar and spices? Then I threw in some dried fruit from Steve and Dan‘s, along with some sunflower seeds for texture, and some sugar and cinnamon for flavour. That’s it! The bags come together so quickly, and cook just as quickly in the microwave in the morning. 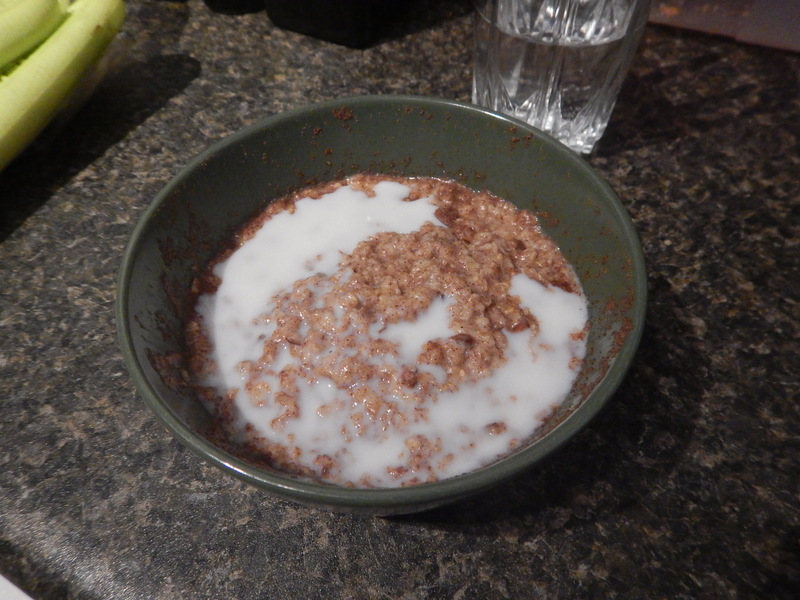 Empty bag into a bowl, add your milk, then pop your bowl in the microwave. The pack will take 1.5 – 2 mins in the microwave, depending on your machine. Add a little more milk to cool it down and to add creaminess, if desired. 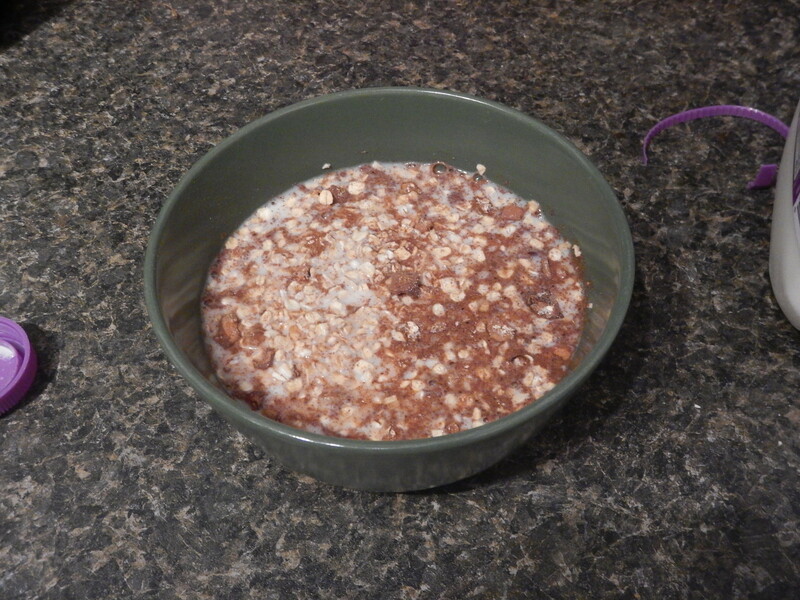 Here’s a super simple breakfast for busy weekday mornings! 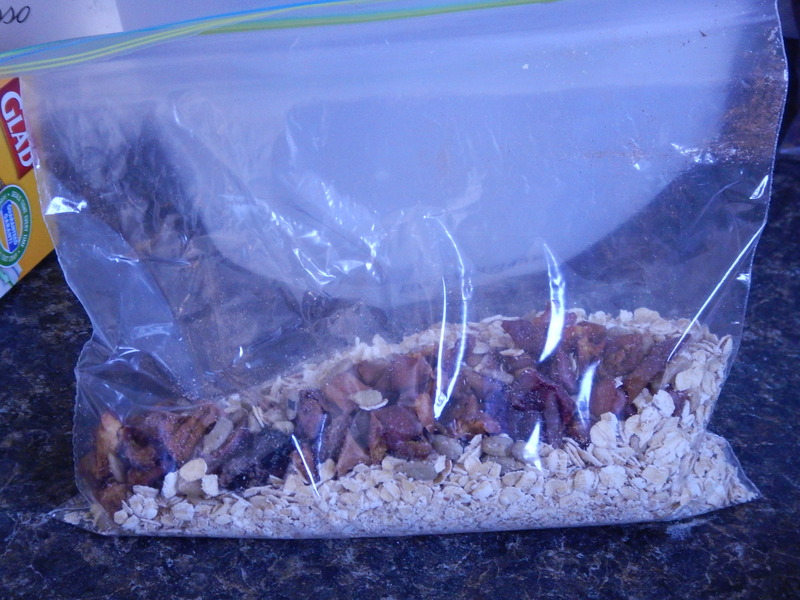 Divide the oats, dried fruit, sunflower seeds, cinnamon, and sugar between 4 plastic baggies. 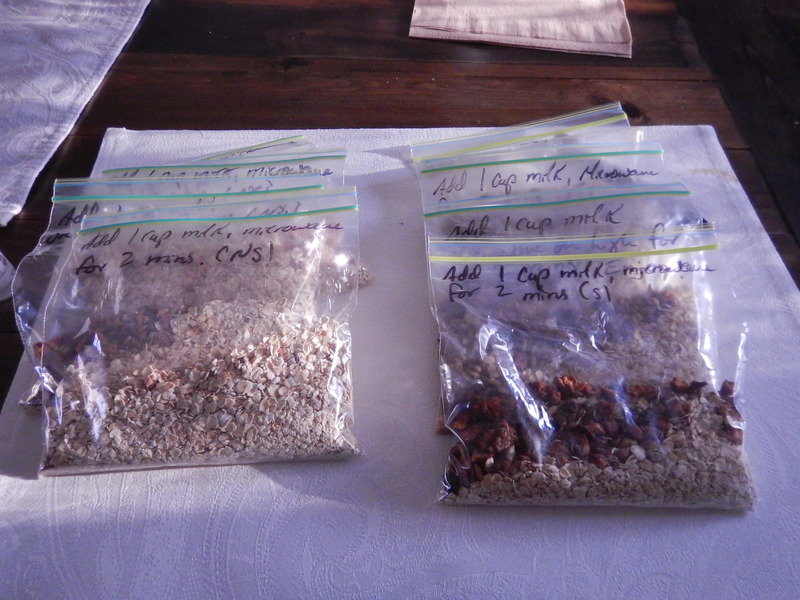 (This recipe makes 4 oat packs). 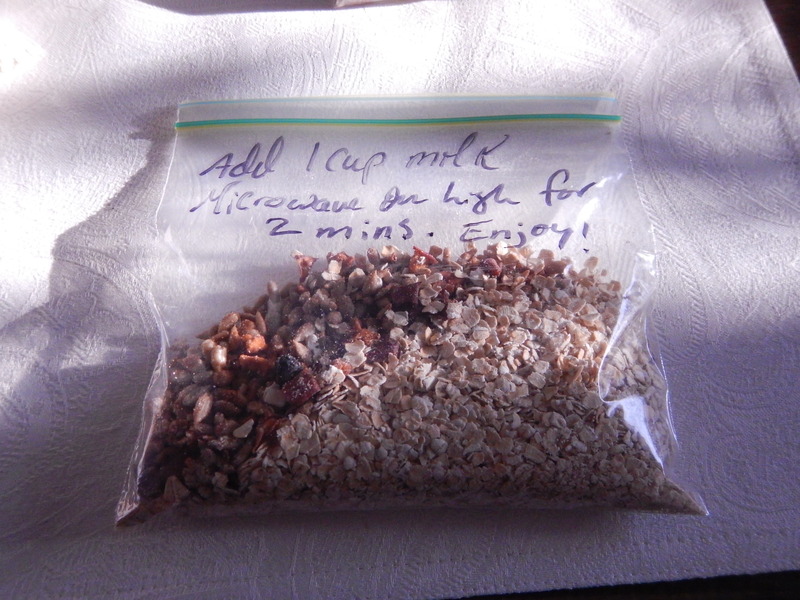 When ready to cook, add 1 cup milk and microwave on high for 1.5 – 2 mins, depending on your machine. When ready to serve, add an extra splash of milk and serve hot for breakfast. Enjoy!